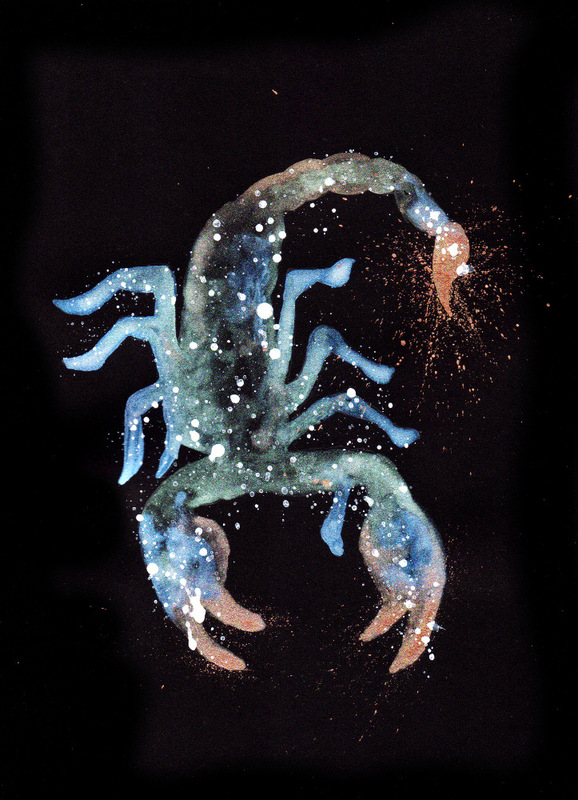 Scorpion symbolizes survival, potency, and mystery. Scorpions have the longest lifespan of any arachnid and are champions of survival. Scorpions can live a year without food, stay submerged underwater for 48 hours, live in harsh environments, only require one-tenth of the oxygen of most insects, and can even survive being in a freezer overnight! Whatever challenges you’re facing, call upon your inner scorpion and equip your arachnid shell to feel virtually indestructible. Just as Scorpions can control how much venom to produce, you too get to control the potency you are putting out into the world. Are you using your energy to attack or defend? Could you put more energy into your passions and less into draining situations? Scorpions also glow under ultraviolet light (blacklight)! This unique ability signifies your relationship and ability to dance in the mystery of the “unseen” worlds. Remember to adjust your filters of perception so you can see the magic that surrounds you. I want to hear about your Scorpion experiences. What stories or dreams have you had? Please share and join in the conversation below! I have had quiet beautiful experience w scorpion medicine. Years ago I disliked scorpios. Than I found out my ascended sign is Scorpio so I learned more about it. & realized I am alot like the archetype. During a ‘journey’ or vision quest a Scorpio flew at my third eye. I was a little startled but I knew it meant no harm. Me & the scorpion did this beautiful sacred bond & it’s now a guardian for my third eye. Something that I dearly needed because I can be too ‘opened’ & the scorpion is white. Sometimes creatures/animals can appear one way but when you learn to surrender and trust a deeper meaning is revealed.